In over 25 years of existence, many students have gone through Marknadsakademien and, though generations apart, shared the same experience. Our Alumni network provides a strong support to our organization and we continue to build strong relations to our former members. We invite to after work events twice a semester and to an annual banquet. We also have an alumni newsletter with occasional updates on our current work. You are a Marknadsakademien Alumnus and do not receive our emails? Leave us a message with your full name and year of graduation! Our Alumni after works are casual get togethers that we arrange twice a semester in different locations around central Stockholm. They are great opportunities to catch up with your old academy friends or to share your own experience with a different generation of members. Any current or old member is welcome to stop by. Upcoming after works are announced via our newsletter and in our private Facebook group. 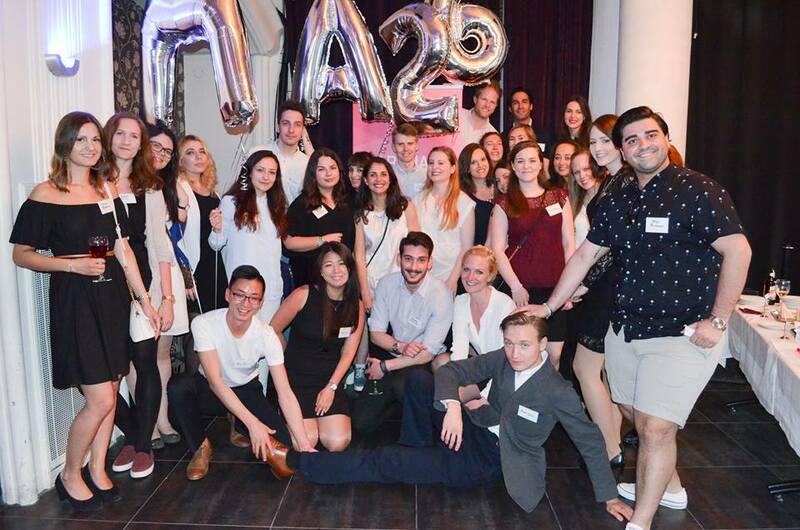 Once a year we get festive at Marknadsakademien when we invite to our Annual Alumni Event. It is a classy celebration of our old and current members where we hold up the spirit of the association. What better way to do this than with food, drinks, and friends? You receive your invitation if you are enrolled to our alumni newsletter or have joined our private Facebook group. We like to share with our Alumni what is going at Marknadsakademien right now. Our newsletter is sent twice a semester and includes information on the committee work, our internal events, exciting news, as well as invitations to any upcoming Alumni event. Keep in touch with us! Subscribe by sending an email with your full name and graduation year. Please understand that the Alumni newsletter as well as access to our private Facebook group is exclusively for Marknadsakademien Alumni.